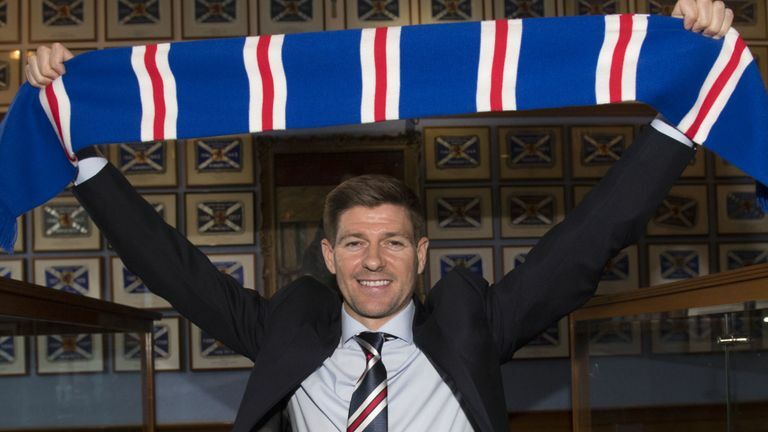 Ibrox Noise: Has Stevie Ger identified his clear priority? Has Stevie Ger identified his clear priority? 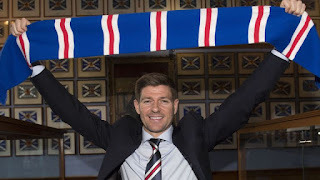 The Rangers fans are convinced that really exciting times are lying around the corner for us and recognise the signal that the good old days will soon be back with Steven Gerrard leading the charge to win more honours for the boys in blue. It wasn’t that long ago when we were the dominant club in Scotland, gaining a world record amount of league trophies and amassing a huge collection of silverware from all our cup triumphs. Could it all be about to return when we were the major powerhouse team from Glasgow who consistently beat all the other sides throughout the land? Last season, results between the Blue Brigade and their bitter rivals from the east end showed there was a gulf in quality between the Old Firm. In reality, our defence was absolutely dire and our player signing policy was nothing short of abysmal. Hopefully with Allan McGregor back in goals and a decent backline of proper defenders in place, it will make a spectacular difference to Rangers’ performances. Adding other more experienced top quality signings back there should be the start of closing the gap. Martin Škrtel and Steven Gerrard may be teaming up to work in Glasgow together again. The 6’ 3” top class centre half’s contract is up with Fenerbahçe next summer and the 33-year-old could be coming to Ibrox this June. He would be a realistically good short-term signing for Rangers, but only if we get him cheaply, due to his age (he turns 34 on 15th Dec). Next June his contract runs down before he would be available to us for nothing. He has no sell on transfer fee when he decides to retire, so the Turkish side should cash in and accept less whilst they have the opportunity. Škrtel is still the captain of the Slovakia national team and played for Zenit Saint Petersburg, before joining Liverpool for £6.5 million in January 2008, where he played 319 games and scored 18 goals. He won the Russian Premier League and the League Cup, and four times he won the prestigious Slovak Footballer of the Year award. He is still fairly quick for a central defender, dominant in the air and extremely aggressive when required. Just the right type of player you want in your team and he will suit the hustle and bustle of Scottish football that is played by so many of the SPL teams. With his outstanding winning mentality, he would make a great Rangers captain, just like McGregor would. He is a terrific defender who can pass, is very competitive, and would make a huge difference to the Ibrox cause. His high wages might be the biggest obstacle to this transaction going through, but if it would be the difference between winning the league and coming second - it could be worth the gamble! Following Allan McGregor and Scott Arfield coming to Ibrox, there will undoubtedly be some younger, exciting and EPL established talents arriving this summer after Allen’s comments, about what Rangers are required to do to become more successful. They have to buy the best they can afford and also bring in some quality loan deals to enhance the chances of winning trophies in Stevie G’s first management season. But it’s inspiring to see defenders finally being made a priority, and ones we know and can trust, rather than the unknown dross we’ve been signing for too long. McGregor Bartley Skirtel what a spine that would make... Robbie Wilson your thoughts mate on the Bartley talks?